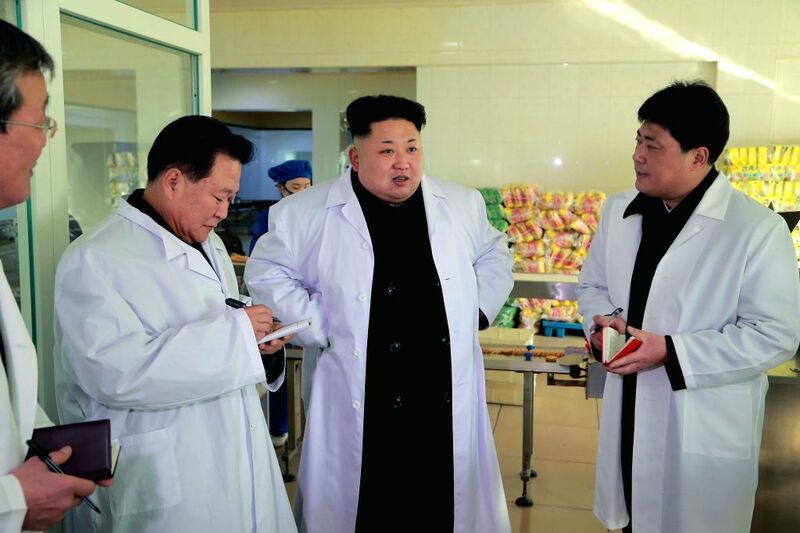 PYONGYANG, Jan. 18, 2015 - Photo provided by Korean Central News Agency (KCNA) on Jan. 18, 2015 shows top leader of the Democratic People's Republic of Korea (DPRK) Kim Jong Un inspecting Kumkop General Foodstuff Factory for Sports persons. Kim Jong Un went round different places of the factory to learn in detail about its production and management. He noted that the factory is playing an important role not only in the sports field but also in developing the nation's food industry.